Barfuss (Barefoot) park in Dornstetten, Germany is a wonderful family fun day trip. 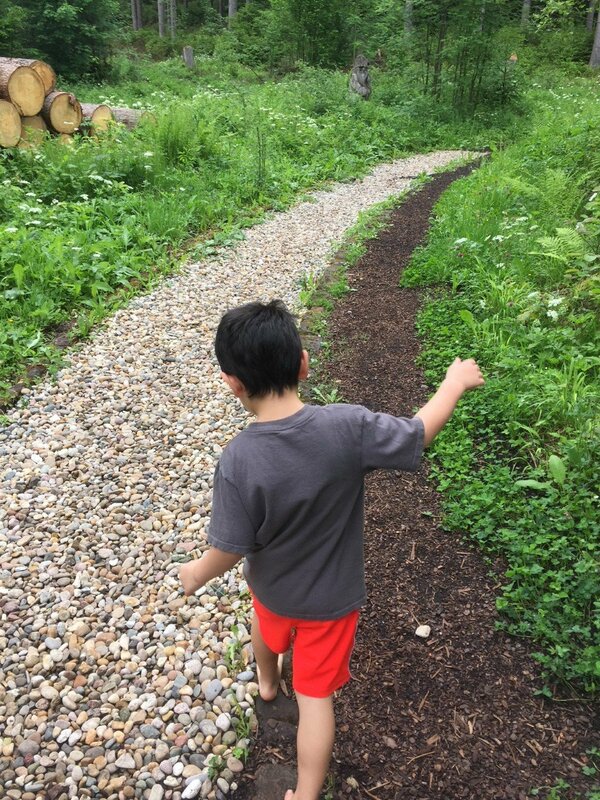 Are you a nature lover looking for an unique hike that your little ones will enjoy? Look no further than the multiple barfuß (barefoot in English) parks throughout Europe. Mommy and Me Travels ventured out on a day trip to the park about 30 minutes south of Stuttgart in Dornstetten. This budget friendly family trip is sure to excite all ages. You only have to pay for parking; the hiking adventure itself is free. (Donations are accepted at the end of the path if you desire to contribute.) You can check the current prices and activities on their website here: BarfussPark Dornstetten. So what is a barfuß park you ask? Well it’s just what is sounds like. You will take your shoes off at the entrance to the hike area (don’t worry, there are lockers to hold your shoes). At the one we visited you are able to choose two different lengths and difficulty of hikes. At the start, your feet will be tantalized with cold water, different types of balancing areas, a trampoline, and a rope climbing area. Both paths start in the same place; the shorter hike will split off to the right and has signs showing the “easy” route. We did the longer path but it was not any more difficult, just longer. My 5 year old was able to walk it by himself and I was able to easily carry my youngest in a baby carrier. My favorite baby carrier is the Brighter Elements Baby Carrier that is available on Amazon. The different sensations on your feet is an experience that my son loved. I will warn you that some of the obstacles may hurt your feet, or at least they did mine, but my eldest son didn’t seemed bothered at all. You will get to experience walking on sand, different sized rocks, corks, different textured wood beams, and mud. The whole hike took us about an hour and a half but we were taking our time, sometimes doing each obstacle more than once. Are you ready to walk on broken glass? There are several groups/studies that believe walking barefoot on natural surfaces, i.e. grass, sand, mud, is actually good for you and helps normalize your body. While studies still need to be completed, it was definitely great for the soles 🙂 Health benefits or not, we had a blast experimenting with all the different textures. After you finish your hike there is a bier garden to grab lunch or a snack. The park has an area where you can hose your feet off with water. We sat and cleaned up from the mud while snacking on pretzels. We can’t wait to try some of the other Barfußparks. Looking for additional family fun hikes? Check out the blog about Highline 179 Suspension Bridge here.